Home Blogs Shiloh Musings Shiloh Musings: Trump’s Visit to Jerusalem- Will the Chaos Get Worse? The family of US President Donald Trump visits the Western Wall in the Old City of Jerusalem in a historic moment, May 22, 2017. I have friends who live in a Trump building, and I’ve always been impressed by the facilities, overall conception, Trump-planned neighborhood etc. To be honest, I had been hoping that he’d bring that sort of organizational talents with him to the White House. I’m sorry to say that he left them on some construction site and hasn’t a clue. None of the people Trump trusts the most have any real political experience, other than getting building and development permits. And it certainly doesn’t help that the State Department and White House employees are out to sabotage all and make the Trump Administration look as idiotic as possible. I once read an interesting and revealing article by one of JFK’s close friends who had been brought into his White House administration. The writer revealed that although many of them were prominent academics, they quickly found themselves clueless on how to get Kennedy’s impressive idealistic platform into reality. The real world of White House politics was totally different from how it looked from the “ivory tower.” No doubt in a few years, Trump confidants will admit that running the USA is not like building a neighborhood, golf course or hotel. And just because Jared Kushner spent some time here as a teen, it doesn’t make him an expert on how to plan a visit for his father-in-law, aka POTUS- President of the United States. The Israeli Government has experienced experts who have put together all the plans and logistics for numerous high-ranking foreign officials. It’s a sign of the American overconfidence and inexperience that they didn’t work together on it. Did they think they could reinvent the wheel? The only really good thing that the Trump team did that other foreign leaders don’t do as a general rule, if at all, is that he’s going to see the PA-Palestinian Authority leaders in Bethlehem and not Ramalla. Whoever made that decision really deserves extra-credit for a great idea. No doubt that our friends who live south of Jerusalem and in the southern Jerusalem neighborhoods aren’t happy about it, but my part of the country is overjoyed. Trump and crew are landing here in a few hours, and then the very experienced Israeli government officials and police will take over all the logistics. The visit will inconvenience people just like the visits of the pope, Obama and others. And since I have to be in Jerusalem today, near where Trump is planning on being, I’ll report on it, too. Check out my Twitter and Instagram. So, will the visit be worse than the usual, or after all the negative hype, will it be better? What do you think? And I’m not even mentioning all the “peace” sic threats we have to deal with. 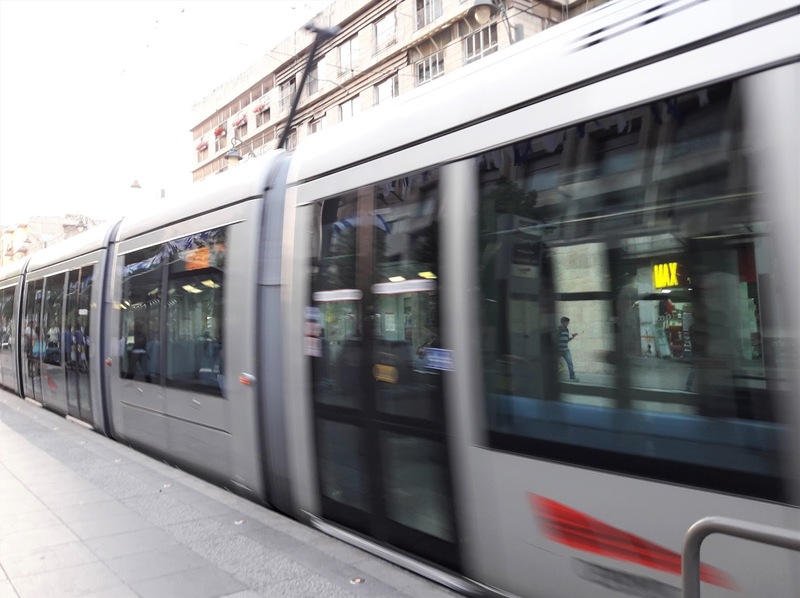 Will the Jerusalem lightrail be running? Will we feel like we’ve been hit by a speeding train?